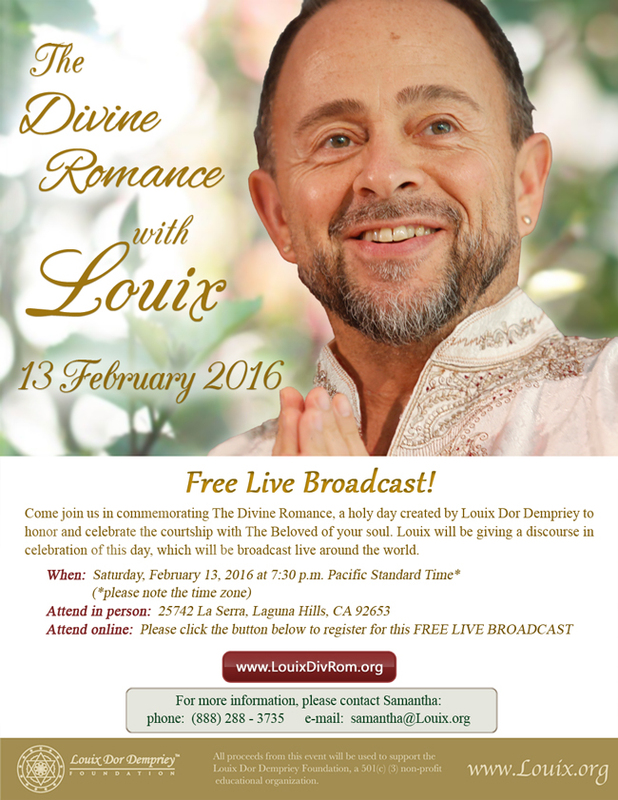 Come join us in commemorating The Divine Romance, a holy day created by Louix Dor Dempriey to honor and celebrate the courtship with The Beloved of your soul. Louix will be giving a discourse in celebration of this day, which will be broadcast live around the world. Please note that if you are unable to participate during the live broadcast, you will be able to view a replay of the event at your convenience.